Ghent’s Little Dots‘ second album, “Do You Know How We Got Here,” released in September 2018, is a total rebirth for the indie-pop group. 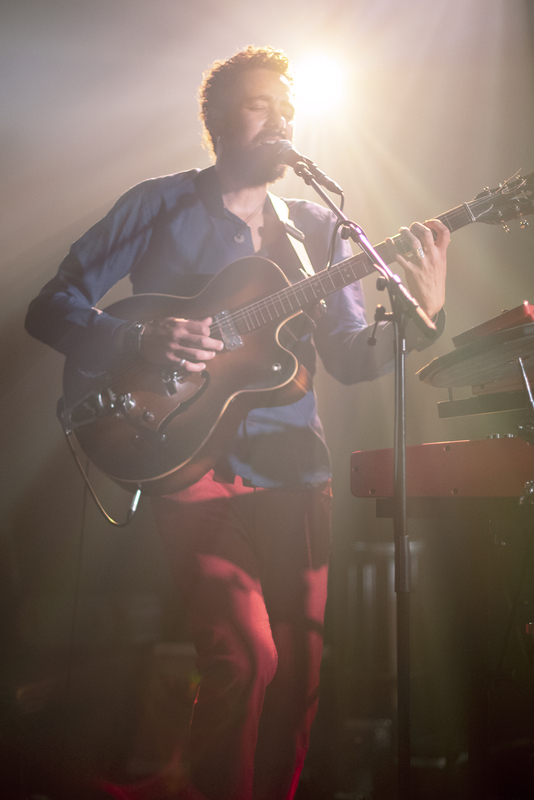 Belgian blog Dansende Beren calls it an evolution, giving the album 4 out of 5 stars. Originally writing songs with a strictly folk feel, as found in 2015’s debut, “A Clear Running Stream,” Little Dots’ new minimalist electro direction builds on their strong instrumental abilities. 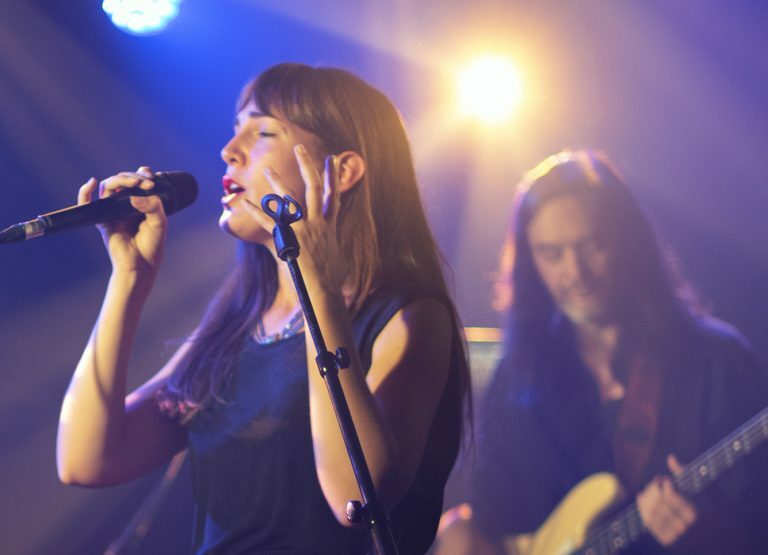 Centered around lead singer Sophia Ammann’s sharp, melancholic vocals, akin to singers like Feist and Kazu Makino (Blonde Redhead), both iterations of Little Dots are equally dynamic. Supported by multi-talented producer, Pablo Casella, the duo leaves room for flexibility and experimentation. 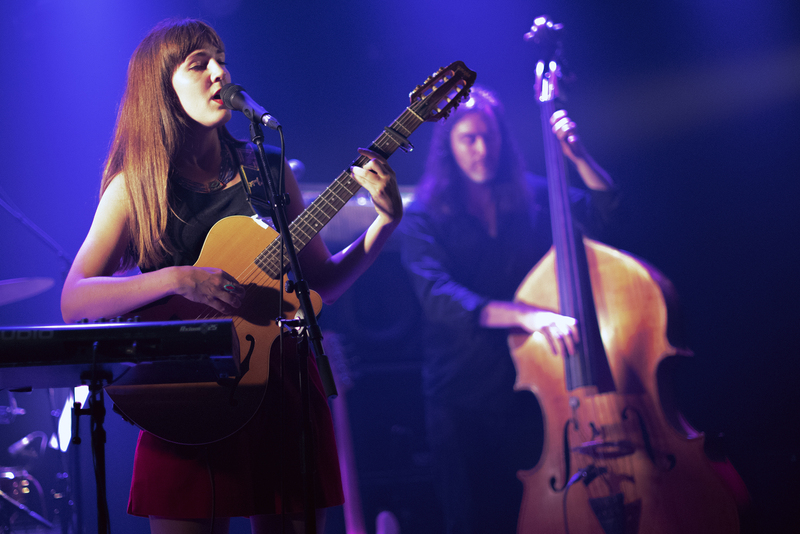 Regarding their live performance, Little Dots comes together as a quartet, incorporating a bassist and drummer. While enhancing the drama found in “Do You Know How We Got Here,” Ammann’s presence embodies the album’s cinematic vibe. 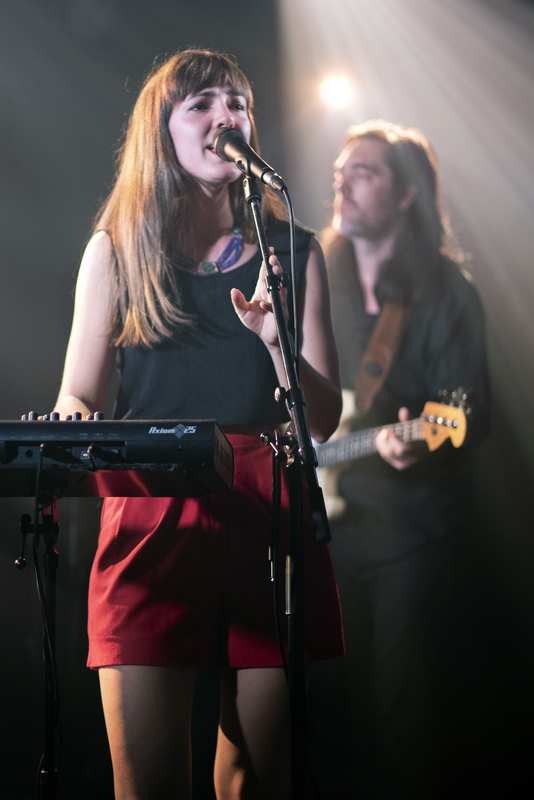 Balancing energetic pop with mellow folk, Little Dots keeps audiences intrigued and engaged. Their sound aesthetic is a true representation of the group’s namesake – we’re all just tiny specks in the universe. Follow Little Dots’ journey, listen to “Do You Know How We Got Here” below – followed by photos from a recent performance.